The Bergara-based company supplies two automotive multinationals with these high performance machines which are used to insert Press-fit components in electronic circuits for motor vehicles manufactured by the German firm. Over the past few weeks, Lazpiur has delivered two Press-fit terminal insertion machines for the insertion of components to be delivered to the German multinational Daimler. The Bergara-based (Gipuzkoa) company, which works for pivotal manufacturers and TIER-1 companies in the automotive sector, is one of the most internationally prestigious companies in the insertion machine sector. 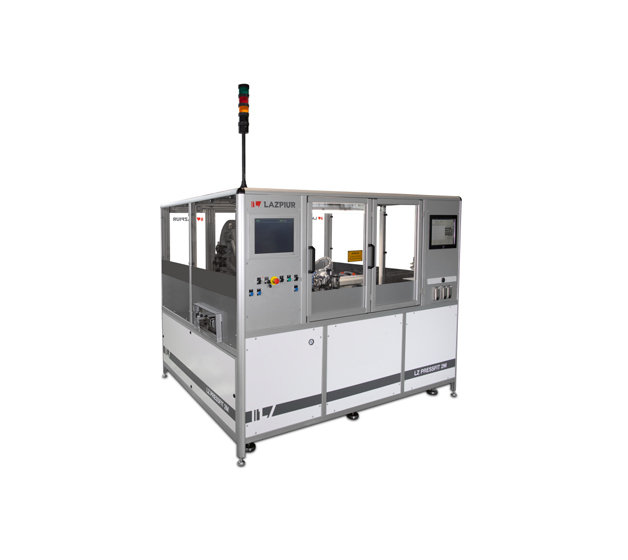 In this instance, it has manufactured two high end machines with a wide range of operating options and functions. One of these machines was sent to a multinational component company plant whilst the other was sent to another significant top-tier supply company. In both cases, these two multinationals will insert components used during the production process for Mercedes vehicles. These are two similar machines for various motor vehicle electronic products. The machines insert Press-fit terminals on electronic circuits. This type of terminal prevents the need for subsequent soldering operations as the terminals are fully fixed on the circuit. These are high speed machines with various control and compensation items that guarantee the quality of the end product. The supply of these two machines consolidates the continuing collaborative relationship with both multinational companies and is confirmation of the trust placed in machines built by Lazpiur; not only for the afore mentioned plants, but also for other international plants. Lazpiur operates in more than 25 countries, with customers including Mercedes, Volkswagen or Ford, in addition to Tier-1 suppliers such as Lear, Magneti Marelli, Delphi, Valeo, Yazaki and Flextronics in the motor vehicle electronics sector.